Recently I found the acrylic watch stand I had put away somewhere and decided to take some photos using natural light alone. The internal-only AR coated crystal proved to be quite tricky but I was happy with how the texture of the assolutamente strap came out. 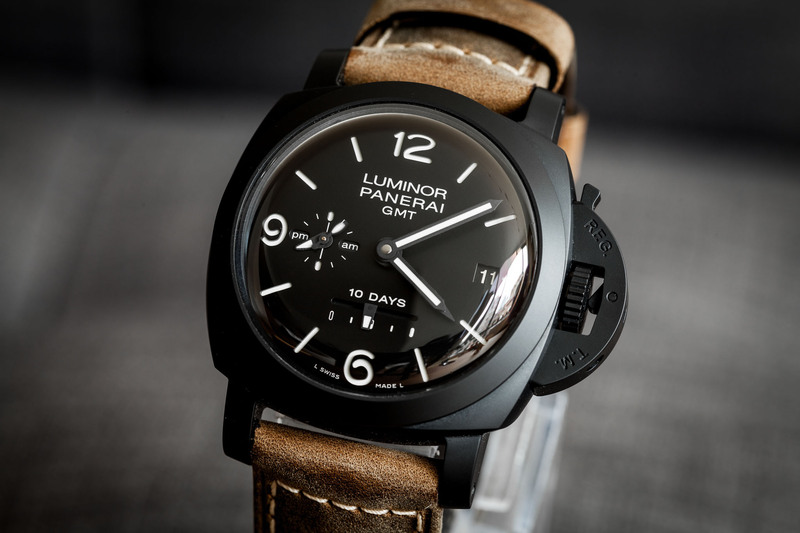 The 335 is decidedly not a basic Panerai look but the black case and dial integrate the whole package nicely and stay low profile in its own way. The most pronounced feature is the domed crystal which I absolutely love. 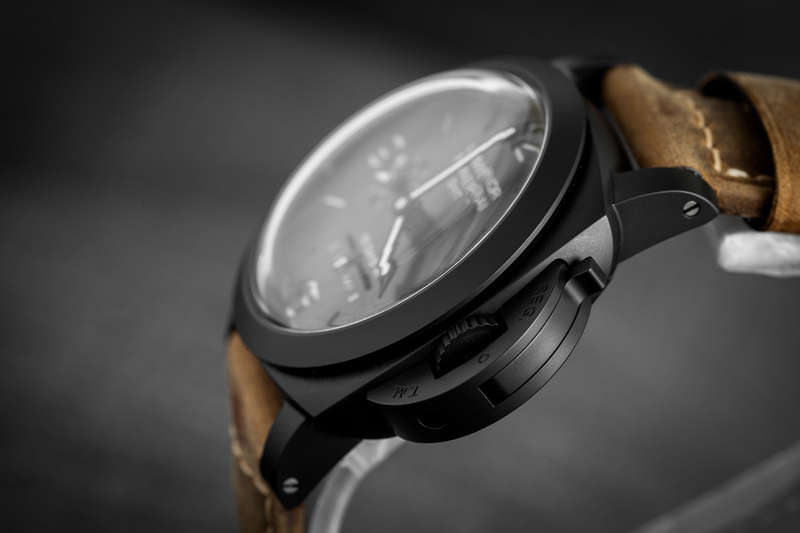 The watch becomes even more 3D when viewed from different angles in person. The distorted 6-9-12 on the dial is part of the appeal to me. 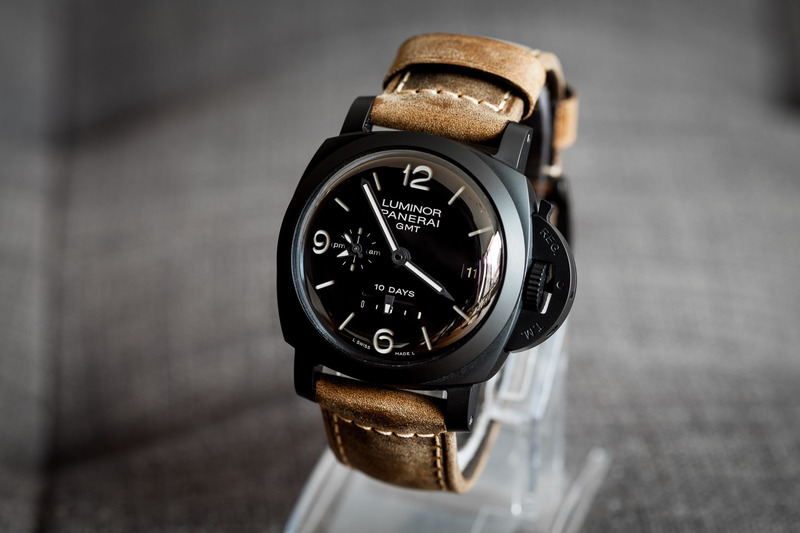 There are many small details here and Panerai was meticulous in the execution. 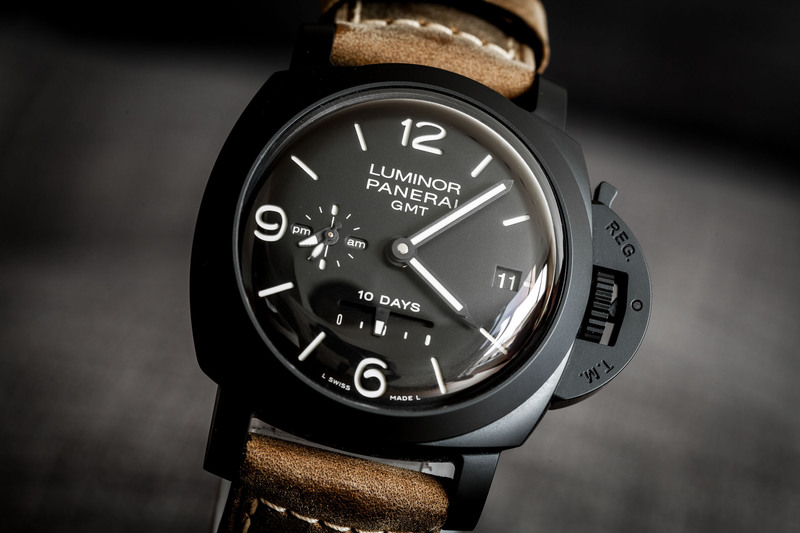 I like the uniform white lume and markings. 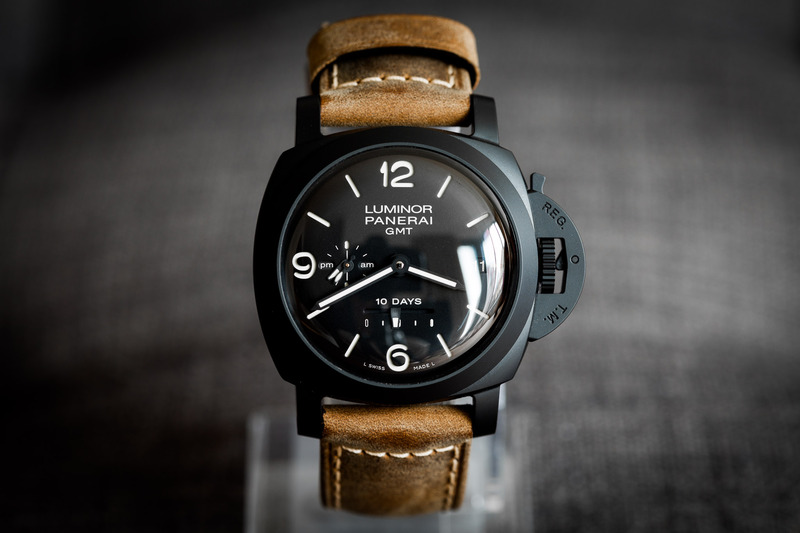 One interesting thing I've noticed is that the black matte outline of the hands around the lume against the black dial is essentially invisible most of the time. Luckily, the remaining lumed rectangles become the hands that appear to simply float. I didn't expect this but the watch is incredibly accurate. Previous Topic: No Q-series 372?